I just published the first of two premium lessons covering the verb QUEDAR. 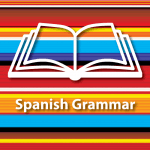 If you’re a member, you’ll find this lesson in the Verbs podcast under the Spanish Grammar Subscription in the Member Home. If you’re not a member, you can check out my free grammar lessons HERE. We start with the reflexive form: QUEDARSE. I really enjoyed researching for this lesson as I discovered how useful QUEDARSE is in everyday Spanish conversation. I’ve never taken full advantage of its versatility. Vamos a quedarnos en casa de los abuelos. Me quedé contento/a con el resultado. Ellos quieren quedarse con el cachorro. Se me quedó la cartera en casa. In the premium lesson we practice many more examples and each example is like an audio flashcard, where I leave a pause for you to say the answer in Spanish before I do. The verb QUEDARSE is now making its way into my everyday Spanish lexicon, and I hope the same for you!